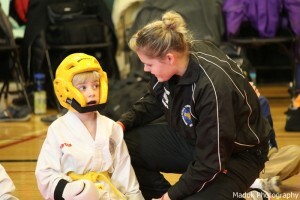 This weekend was all about Taekwon-Do!!! Yesterday we started with the Annual Blackburn TKD Challenge and today was the Sparring Seminar with Master Suarez and Julio Carlos from New York City. For me the highlight of the tournament was watching all the colour belts compete. 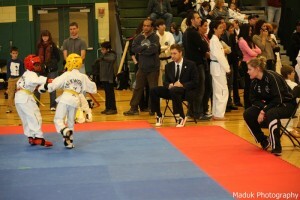 For several of them it was their first time competing so there was a lot of emotions going around the room. Competing is completely different from class so it’s really important for the students to be prepared. They need to understand the scoring system so they know how to earn points and know how they are being judged. They need to be taught the proper ring etiquette (how to enter the ring, when to bow etc). Most importantly they need to learn how to deal with winning and losing. There is always going to be a winner and a loser, and learning how to move forward and learn from it, is what is important. I always like to give some extra help to the younger kids competing beforehand so they know what to expect and feel more confident and prepared going into a tournament. That way, hopefully they can enjoy the experience of a tournament no matter what their results. It’s all about their expectations and what they want to accomplish. 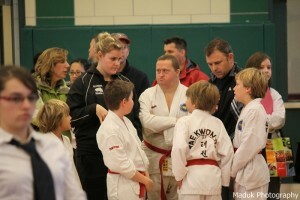 It’s also very important for the parents to understand how tournaments work so they can help their child along the way. I spent the whole morning running from ring to ring coaching the students from our dojang but I also coached students from other schools if they looked like they needed a bit of help. 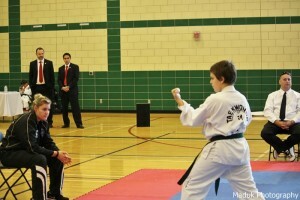 In the afternoon the black belts competed. Although it was a friendship tournament 3 out of the 6 women in my division were on the National Team and one of them just competed at the World Cup so the calibre was very high. They entered me into the U35 Age group. I’ve been injured for two months and just got the go ahead from the doctor to compete on Friday. I have to admit I was quite anxious competing again, but this was a great opportunity to get back into things psychologically. 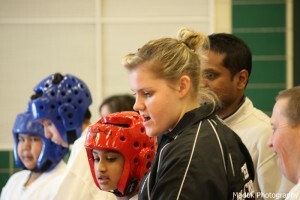 I was even more nervous for the sparring. I really haven’t sparred much since Pan-Ams, especially with the injury and trying to recover. 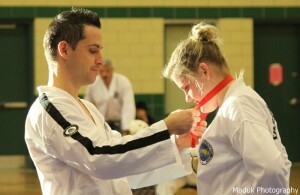 My first competitor was someone who went to the World Championships with me so I really respect her. She has a wicked kick that always appears out of nowhere. I wasn’t able to have the same speed and movement in the ring as I usually do, so I tried my best to control the ring, and stick to my game plan. 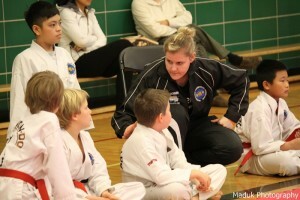 My coach, Mr. LeGrow was really helpful. It was nice having him behind me. I feel like each time I spar, I learn and feel an improvement or notice something that I need to change or get better at. 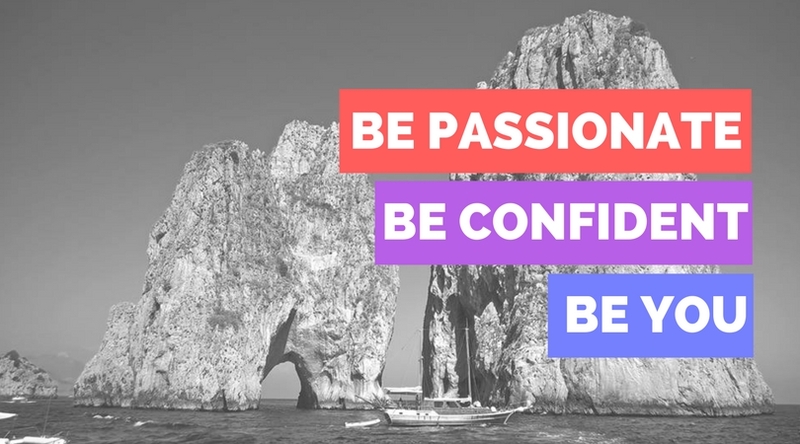 Knowing that I have so much more to learn and room to improve, I find it exciting for the next year to see how much more I can push my limits and raise the bar. It really meant a lot that my brother Greg came to watch with his girlfriend. I don’t often get to compete in Ottawa. To see all the photos that my mom took of the tournament click here. Great pics. !!! 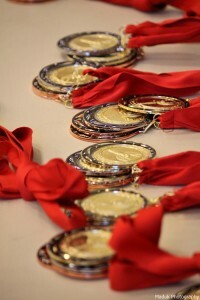 It was really nice that I got to see all the blk belts competition, I thought everyone did so well…! It had been such a long time, since there are so few local tournaments in the area, it is very seldom we (longtime parents, fans & supporters of TKD) get a chance to enjoy watching it again…!! I’m glad I had this opportunity…!! 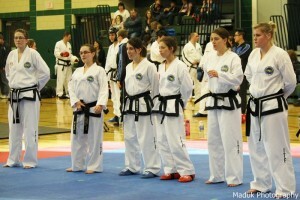 I’m glad that I got to see the blk belt competition. I thought everyone did very well…! 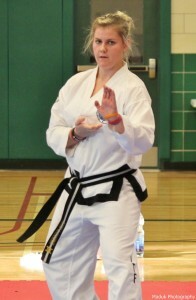 It is very seldom that there are local tournaments in the area now – so I enjoyed having the chance of going & being there to watch – also to say Hi to all of you I know and with who great TKD experiences and moments were shared in the past …!! It was really nice of you to come and support everyone! Thank you for all your support and your great blog. Can’t wait to see all the pictures. So happy re your GOLD! Wooo Hoooo Kayla.